Published at 31/03/2019 16:44:52 from Argentina, 2116 visits. 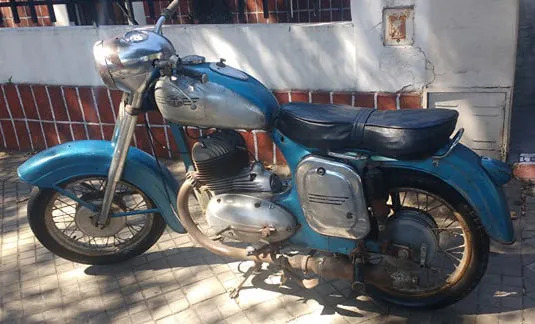 Jawa 350 Kyvacka, very whole sale. I have also covered chain and top side that is missing in the photo, the bike is running. Ideal for restore or winterizing. It has no documentation, I ticket. Rosario.